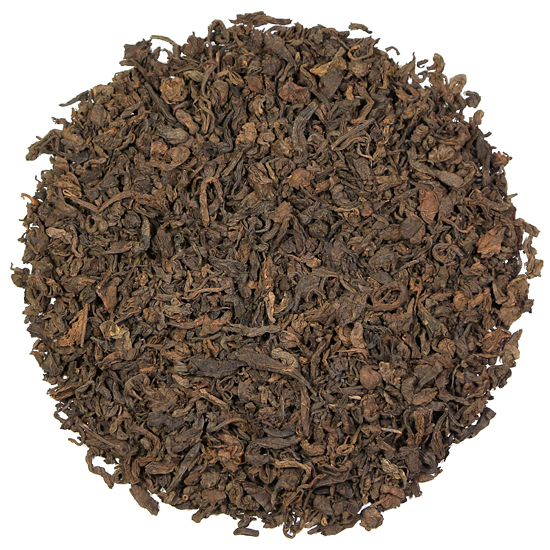 Pu-erh is traditionally ‘rinsed’ before being steeped. This is done with a quick application of hot water that is poured over the tea and then immediately discarded. The rinse water is not drunk – its purpose is to help the leaves begin to open during steeping. Use additional appropriately-heated water for the 1st steeping and subsequent re-steepings. This tea was made by one of China’s state owned tea factory in the mid-1990’s and has been in dry storage since that time. The taste and condition of this tea is very desirable and inventories of teas such as this that are coming to market are declining each year. 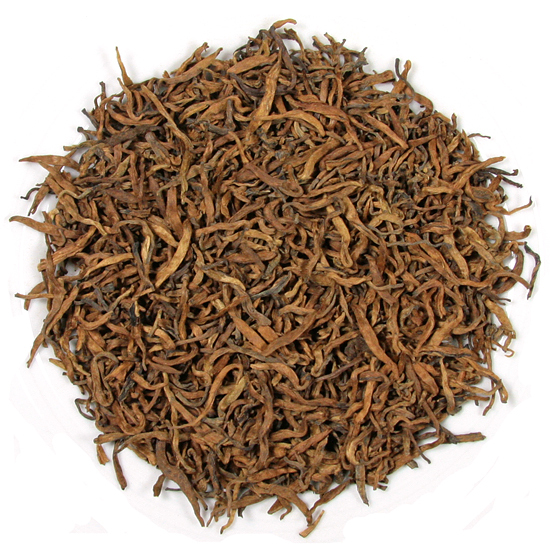 This stylish Pu-erh is comprised of large, leafy tea leaves that are very well-shaped and clean. One can tell from the appearance that this tea was made from large-sized arbor tea leaves and processed carefully to keep from damaging the tea leaves. This tea is smooth and full and complex in flavor without any bitterness. The passing of time has eliminated the wo dui taste and aroma from this tea, leaving a lovely Pu-erh that has absolutely no bitterness. 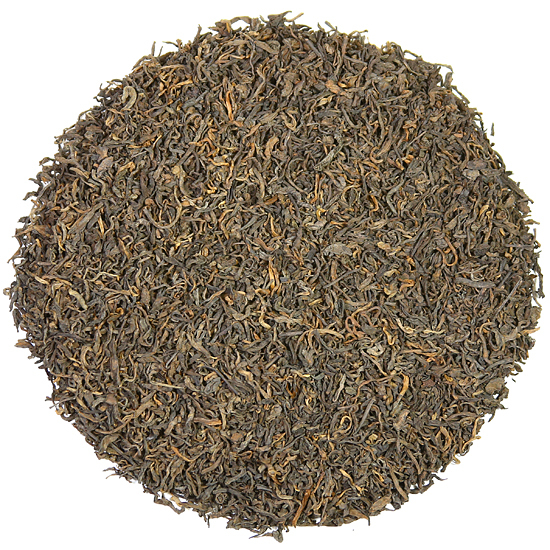 Fragrance is high and strong, and in the cup the tea liquor is a lovely dark burgundy color.